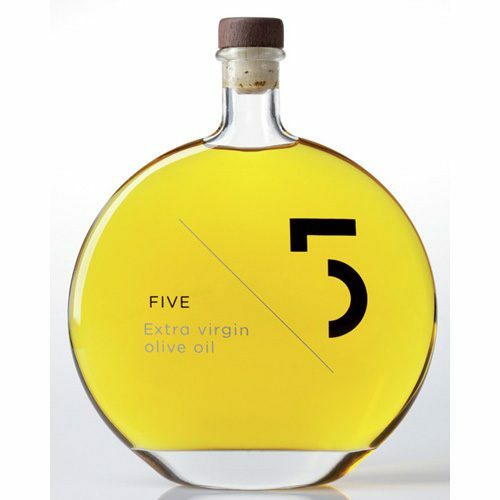 FIVE Extra Virgin Olive Oil is a high quality gourmet EVOO from Greece. 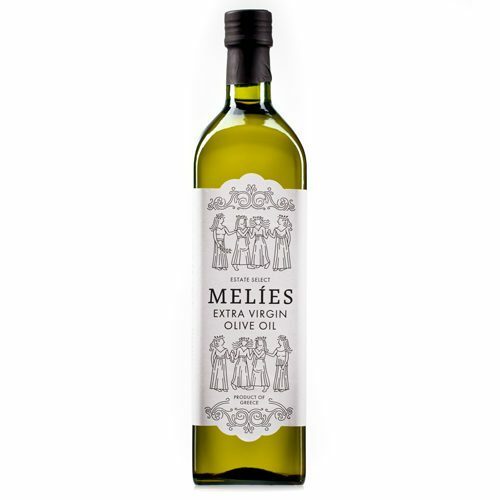 The process of cold extraction at low temperatures, along with the growing region and the varietal blend of olive cultivars produce an olive oil with a well-balanced flavor; a fruity and slightly spicy flavor with a subtle aroma. Comes in a clear glass bottle in a carton box. 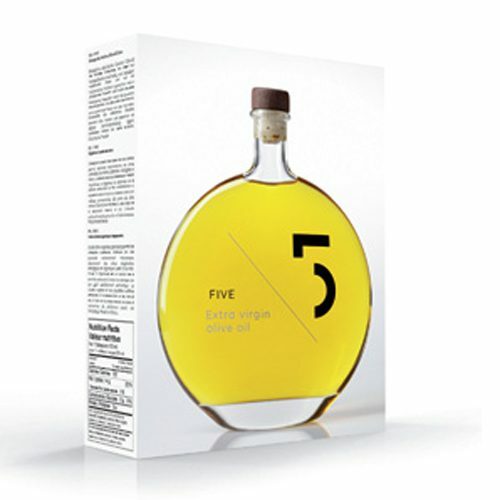 FIVE Extra Virgin Olive Oil is a gourmet EVOO of high quality from Greece. The process of cold extraction at low temperatures, along with the growing region and varietal blend of olive cultivars produce an olive oil with a well-balanced flavor; a fruity and slightly spicy flavor with a subtle aroma. 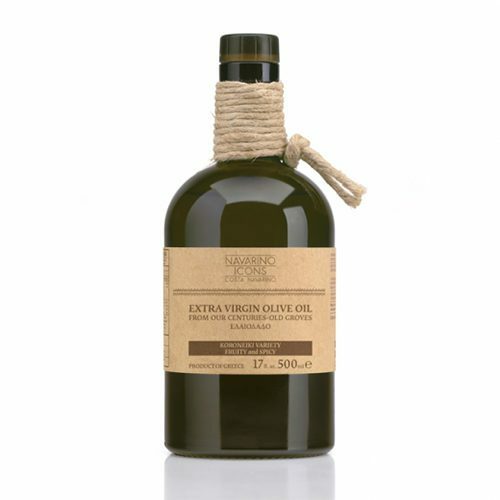 This Greek EVOO is produced under constantly controlled hygienic conditions. 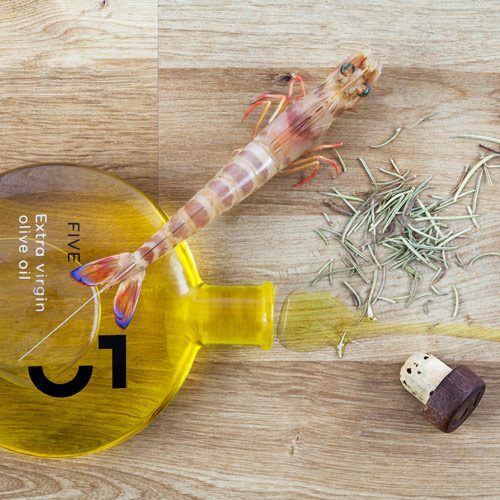 Satisfy your senses and encounter the exceptional and superior taste of natural flavors and an unparalleled feature of quintessentially good olive oil in its purest form. Without any additives, its purity achieves the very nature of perfection from a long tradition in Greece, backed by high technology and gastronomical control. 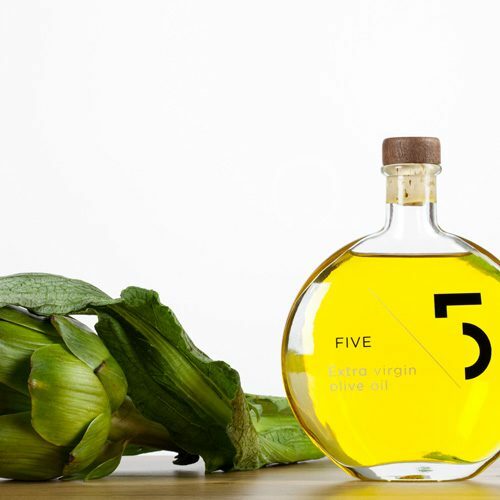 FIVE’s guarantee and promise reside in every drop of olive oil ready to take your taste to the next level of satisfaction. 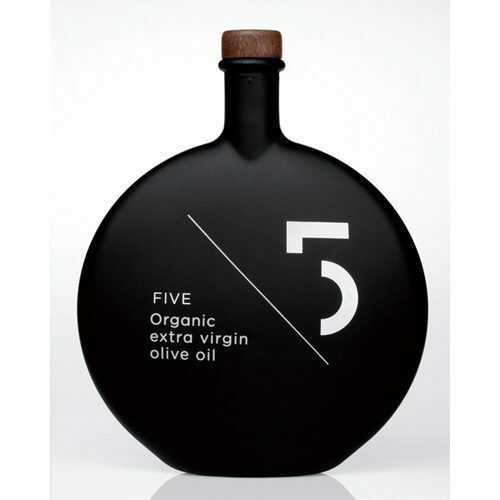 Multi award-winning extra virgin olive oil. Olive variety: 70% Koroneiki, 30% Athinolia. Acidity will not exceed 0.6% during its shelf-life.